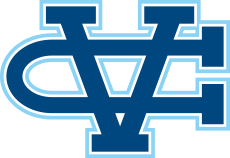 Valley Christian Track & Field: Welcome to Warrior Cross Country! Welcome to Warrior Cross Country! I want to echo the sentiment from coaches and returning runners that we are extremely excited to welcome all the new members who have come out for this year team. At the core of our team philosophy is the belief that everyone on the team has an important role and can give something to better the team. For some it may be by performing well, others leadership, some it may be by working hard and elevating the competitiveness of the team. No matter the gift each person is an intricate part of the team and has an important role to fulfill and we are excited to have you with us this season! Next Saturday, September 1st the season gets going as we run the Watermelon Run, an informal “fun run” with Santa Cruz High School. The course is 2.08 miles through the redwood forest on the UCSC campus. Athletes, coaches, parents, pets, siblings (you get the picture) are all welcome to run! Information regarding this run will be sent out at the beginning of next week. 1. “Hard Work, Good Times.” To get into shape it is going to take some hard work. The results of which is usually pain and sore muscles… most of which comes in the first two weeks. These initial weeks are always the hardest. I want to encourage you to stick with it! Your body will soon adapt and within a few weeks of consistent running you will be on your way to some great racing! The most updated practice schedule can always be found online on our team website at www.vcrunning.com under the “practice schedule” tab. d. Dark blue “Warriors” dry-fit shirt. Additional items (i.e. sports bag, sweatshirt, beanie, additional shirts, etc.) are optional. Spirit packs can be purchased online through the gowarriors website at this link: http://www.vcwarriorwear.net/category_s/120.htm. 5. Parent Drivers and Carpools. If you want to help drive to meets or practices you need to fill out the following form and turn in a copy of your insurance card and DMV report to the athletic office. Please contact the Athletic office for further information. 6. Morning Practices. We will hold morning strength and pool workouts on “A” days from 7:15-8:30 am. Additionally, on days there are extreme temperatures we may move practice to early morning (6 am) before school to reduce sun exposure and the potential for heat exhaustion. Please check the schedule as to when morning workouts are happening. All are welcome! 8. SAT Dates. Please note we have an invitational race on October 6th, the same day as the first SAT testing date. If possible it is encouraged you take the SAT test November or later. Thank you to those who have already notified me, but if have not already and you must take the SAT date on October 6 please notify me as soon as possible.